The sport of freefall skydiving is a relatively young sport. There are new tactics and records being broken on a daily basis. You might wonder, what nutcase decided that it is cool to jump out of a perfectly good airplane? 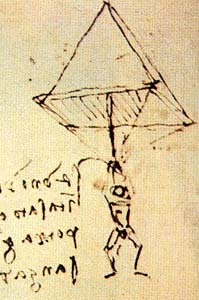 Leonardo da Vinci’s drawing of a triangular parachute system in 1490. The first parachute jump was made by Andre-Jacques Garnerin on October 22nd, 1797. Because this was before airplanes were even invented, his jump took place from a hydrogen balloon at 3,200 feet above Paris, France. The first intentional freefall jump with a ripcord-operated parachute system was taken by Leslie Irvin in 1919. The earliest recorded competitive dives were held back in the 1930s. Skydiving became much more common once the military invested in parachute technology. Tactical skydiving was utilized throughout World War II. After the war, returning soldiers wished to continue their skydiving careers. This lead skydiving to become a national sport in 1952. Much like the evolution of parachute technology, the development of social media had a great impact on the skydiving industry. With the ability to spread information at an accelerated rate, skydiving adventures started to become more mainstream. In 1991, the release of Point Break, a film with Keanu Reeves and Patrick Swayze, put skydiving on the big screen. Motivating hundreds of people to skydive, this movie was great for the industry. Later, in 2007, the release of The Bucket List yet again glorified skydiving on the big screen. Although it was beneficial to having skydiving featured in theaters, nothing compares to the impacts of technology. The development of Automatic Activation Devices (AAD), audible altimeters, streamlines parachute containers and development systems, and performance-based parachutes not only helped increase safety within the sport, but it also helped to spike more interest and awareness. As mentioned above, skydiving is an incredibly young sport, and there is still so much to be discovered. You can be the next person to make skydiving history. All you have to do is start with your first tandem skydive. 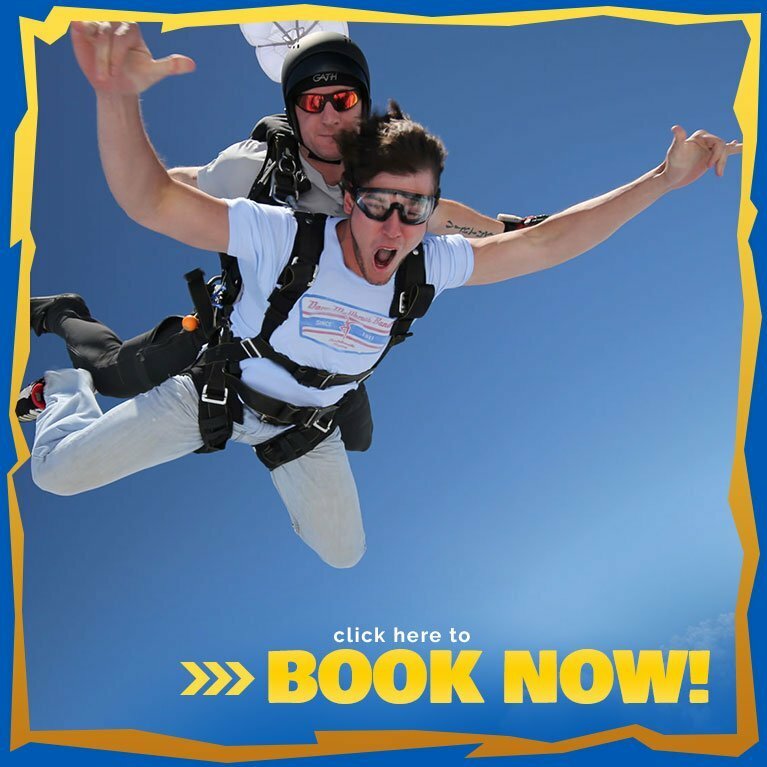 Call Skydive Georgia at 770-684-3483!